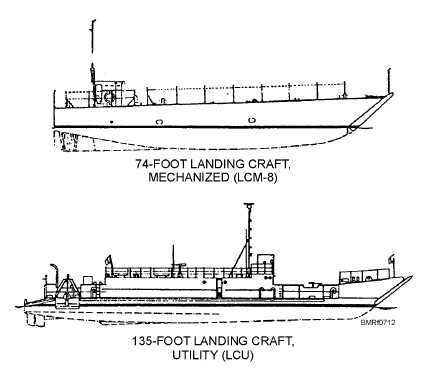 By studying the nomenclature shown in figure 7-13, you will become familiar with much of the deck and hull equipment used on Navy boats. The glossary in appendix I of this training material will help you identify some of the terms. REVIEW 2 QUESTIONS Q1. List two types of combatant craft . a. b. 7-11 Student Notes: Figure 7-12.Combatant craft of the U.S. Navy (Continued). Figure 7-13.Boat nomenclature.